Jump to a list of Wyoming Newspapers that maintain an online presence. Use this listing of local newspapers in Wyoming for newspaper article on local issues, politics, events, celebrations, people and business. The amount of information available in electronic format varies. Access Newspapers in Wyoming that can be found online, including daily and weekly newspapers, online newspapers and information on local issues. Find information about holidays, vacations, resorts, real estate and property together with finance, stock market and investments reports; also look for theater, movies, culture and entertainment activities and events - they are all covered in Wyoming newspapers. Read daily news from Wyoming covering Wyoming current events, sports, business, travel, culture and entertainment. Make sure to check also Wyoming newspapers classifieds sections for local jobs, career, obituaries, real estate, rentals, cars and other classified ads. 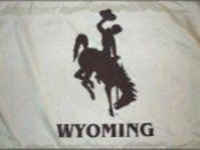 Do You Want to Be a Reporter in Wyoming? Are you someone who can't get enough of the latest headlines? Find out how to become a reporter. Explore the education and training requirements of each school in Wyoming and the experience required to advance your career in journalism. Reporters, also referred to as journalists, are news specialists who inform the people of current events in Wyoming. News reporters research leads, compile news stories and present the news for broadcasts or written articles. Reporters working in larger news and media markets can specialize in a particular news type, like sports, entertainment, or politics. Many news reporters have a bachelor's or master's degree in journalism or communication. As a journalism major, you'll not only master the art of reporting and writing, but you'll also learn about libel and other legal issues that affect the media. And you'll learn what it takes to survive in a tough, but often rewarding, business. Entry-level news reporters are required to have at least a bachelor's degree from an accredited Wyoming school. Most reporters gain practical news reporting skills from serving on their college's newspaper staff or from working at the local city paper prior to graduation.